Oxana Korobina is Principal at Action Accounting and has worked at Action Accounting for 13 years before taking over the practice in 2016. 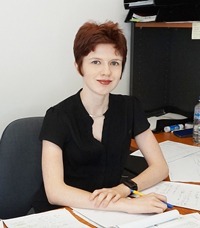 Oxana holds a Master of Professional Accounting degree, and is a member of the Institute of Public Accountants (IPA) and holds current BAS Agent & Tax Agent registration within Australia. Oxana has built relationships with many businesses in the East Brisbane area and has a passion for getting to know you and to understand your businesses financial goals. Caitlin Pavey-Gilbert is a Tax Consultant at Action Accounting and began working for the practice in January of 2017. Caitlin has been working as a Tax Consultant since 2016, after having graduated with a Bachelor of Business from Queensland University of Technology, where she majored in Accounting. She enjoys helping clients to understand their tax obligations and improve their results. In her free time Caitlin enjoys digital media and taking part in martial arts. 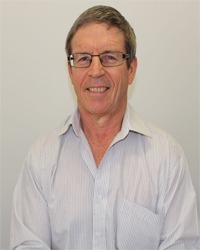 Matthew Creagh is a semi-retired Director at Action Accounting and holds a Bachelor of Business degree, majoring in Accountancy.